Scientists from the Massachusetts Institute of Technology have recently discovered a new reason for Earth’s warming. Apparently, aerosols are not only responsible for Earth’s cooling, but they make our planet warmer. Since human activity partially creates these particles, the new study might lead to new ways to mitigate the damage we make to the atmosphere. Various parameters affect our atmosphere, such as greenhouse gas emissions. Scientists debate about its dominant cause; in 2007, the Intergovernmental Panel on Climate Change (IPCC) said that the planet’s average surface temperature would rise by between 2 and 11.5 degrees Fahrenheit by 2100. However, they were not exact, since these models predict that the planet should now be hotter than it is. The IPCC attributes this discrepancy to— microscopic particles in the atmosphere that are created by both nature—dust blown by desert winds— and human activity—liquid droplets created from fuel combustion. Technically, an aerosol is a suspension of fine solid particles or liquid droplets in a gas. Examples are smoke, oceanic haze, air pollution, smog, and CS gas. Because aerosols help cloud droplets form into icy particles and reflect sunlight back into space, they help to cool Earth and possibly mitigate warming caused by emissions. However, some researchers claim that these particles might behave differently, affecting our planet and atmosphere in another way. One of the scientists supporting this approach is Richard Lindzen, a professor of meteorology at MIT’s Department of Earth, Atmospheric, and Planetary Sciences. 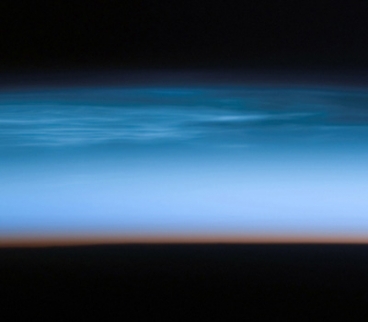 Professor Lindzen and his former postdoctoral researcher, Yong-Sang Choi, have recently published a paper in Proceedings of the National Academy of Sciences, suggesting that aerosols not only cool the Earth-atmosphere system, but also heat it. By describing the potential dual effects of aerosols, the research questions the IPCC’s models. Although Thomas Stocker, co-chair of the IPCC’s Working Group I declined to comment on the study, he says that Lindzen and Choi’s latest research is part of relevant peer-reviewed work that the group will assess in its Fifth Assessment Report about climate change to be published in 2013. “Current climate models generally over-predict current warming and assume that the excessive warming is cancelled by aerosols,” Lindzen and Choi write in their paper. “[Our research] offers a potentially important example of where the secondary effect is to warm, thus reducing the ability of aerosols to compensate for excessive warming in current models.” That is, the degree to which aerosols can compensate for model over-prediction of warming remains open, the research suggests. Lindzen and Choi’s paper analyzed data collected by NASA’s Cloud-Aerosol Lidar and Infrared Pathfinder Satellite Observation (CALIPSO) satellite from June 2006 through May 2007. Specifically, they focused on data regarding cloud formation and dust aerosols, or tiny particles of sand and silicate in the atmosphere. Their analysis revealed that there were about 20 percent fewer “super-cooled” cloud particles (droplets that are a mixture of water and ice, but reflect more sunlight than ice) in regions that had dust aerosols. Such a difference could warm the atmosphere in those regions. In their paper, the researchers claim that the decrease in super-cooled particles occurs when aerosols travel to a layer of the atmosphere where the temperature is around minus 20 degrees Celsius; thus, super-cooled cloud droplets are “killed” – causing them to form into ice. Fewer super-cooled cloud droplets mean that clouds reflect less sunlight, which could have a warming effect on the climate. “The IPCC assumed that all the secondary effects of aerosols would be to increase reflectivity,” Lindzen and Choi assert. Incorporating that effect, the researchers believe, is essential to creating accurate climate-change models. “It has left out a very important factor that could lead to the opposite effect,” Lindzen said. Because satellite data is limited, Storelvmo suggests that future research should include measurements of aerosol and cloud properties taken by instruments onboard aircraft that travel to the upper atmosphere. Moreover, she claims that this combination could help address one question that remains unanswered in the paper: Why satellites detected few super-cooled clouds over South America, even though the satellites did not detect dust or carbon aerosols over that region. 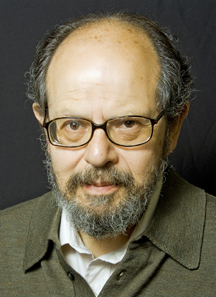 Lindzen agrees that climate scientists cannot rely solely on remote sensing techniques to get solid, incontrovertible data about aerosols and clouds; even so, he is eager for the launch of better satellites and instruments, promising data of higher quality. 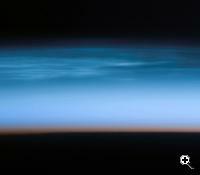 The objective, of course, is to understand how clouds evolve. TFOT has also covered NASA’s Global Hawk, an aircraft designed to study our atmosphere, and the Ozone Monitoring Instrument, created to protect our climate better. For more information about aerosols’ contribution to global warming, see MIT’s press release.